From being a simple line of code eleven years ago, WordPress has now become the most used platform with 74 million websites running successfully on it. There is no wonder saying that WordPress has come a long way in this meantime. There are so many competitors who are offering all the services similar to the WordPress Content Management System. However, WordPress is still dominating the CMS market with 60.3 % of the global market share. In the coming time, WordPress won’t be confined to just being a CMS; it will be evolved as a compelling framework that is capable of running all kinds of apps. Let’s know how WordPress will be in the future. There are four principal categories that we are going to be discussing in this blog post. 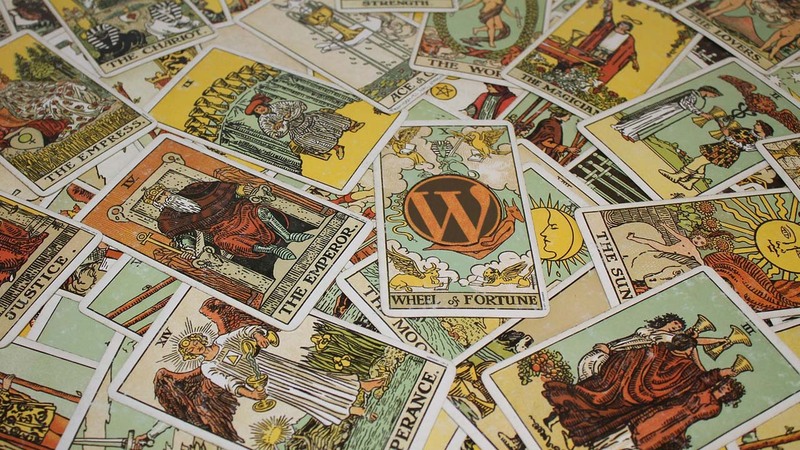 If you are running a WordPress Development Company, then this piece of article with predictions made about the topmost CMS in 2019 is really meant for you. Security is always a foremost issue while dealing with website portals. One way you can avoid all the security-related hassles is by habituating with creating the necessary backups, frequently monitoring your sites as well as updating the sites with needed themes, cores, and plug-ins. The management of a site isn’t going to take much of a time or hassle from you, but as the customer base of WordPress is expanding, the platform is updating their security norms. You can expect the security tools that will keep your WordPress site securely proactive. As more beginners are expected to join WordPress wagon, it has been expected by to shoulder the burden of security. There are plans to introduce the Tide which will run automated tests on the themes and plug-ins that you download. It checks the authenticity of these themes and plug-ins. WordPress is planning to implement various automated tools that will ensure your site’s security. This way you wouldn’t have to spend more time on the site for security purposes. But it is essential for you to have strong passwords and installation of an SSL certificate. You cannot ignore them under any circumstances. WordPress has been enjoying great community since its arrival. As the community of WordPress is large, more people offer support for beginner users. It is expected that the volunteers will grow in the future because of the size of the WordPress community. There are so many support forums and commercial services that offer extensive support to the beginners of WordPress. As more people join the WordPress community, you can expect the entrance of more managed WordPress companies. The managed WordPress hosts will enhance their support and ensure to cater to the new changes that have been happening in the marketplaces. If you have worked on WordPress when it has started, you will observe massive changes in the site’s design. There are so many tools that are incorporated in WordPress to make it easy to use the CMS platform. These tools will help in creating a professional website in some hours. There are so many visual page builders, themes and frameworks that will help in creating an exciting and beautiful site in minutes. The WordPress interface is so friendly that the beginners will be able to use it without any hassle. The front-end design will become a lot easy, and if you brush up your Java skills, you will be able to do a great job with WordPress. The one thing that is important for a website is user experience and mobile responsiveness. By adapting to the new concepts, WordPress is focusing on delivering an excellent experience for the users. They are focusing on a mobile-centric approach, and AMP is going to contribute significantly. The main reason why all love WordPress is the functionalities that it offers to the users. If a feature is not available in the WordPress theme, then you can go to a plugin to help you. The platform has been integrating various functions to provide current options for users. WordPress has never depended on the traditional plugins, and it has incorporated some of the other plugins for better performance. Use of plug-ins is the most sorted out option of WordPress CMS that offers exceptional functionalities and supports essential features. They will help in better loading, and on top of that, you will have a great visual builder too. If you are into WordPress development, then you can explore so many great options that have been offered by WordPress. The platform has a bright future, and it is shining even more brightly with every new update and tool. The platform isn’t going anywhere and is about to provide some great features that its competitors won’t be able to afford. Nishant Desai is Digital Marketing Expert at Pixlogix Infotech Pvt. Ltd. He loves to write about the latest trending updates, WordPress, Web Design, SEO and other interesting information. He believes in Learning, Sharing.